To create awareness of thyroid disease conditions among the general public. Even though Thyroid disorder remains the second most common endocrinological disorder seen in adults, it is still relatively unpopular among the general public and some healthcare practitioners. This makes it very difficult for the disease to be accurately diagnosed especially due to the fact that thyroid disease conditions have similar symptoms with other more common ailments. Most patients with thyroid problems are therefore easily treated for other more known disease conditions. Improved public awareness of thyroid disease conditions can lead to early detection. Individuals will also be better equipped to alert their physicians to a suspected thyroid condition that may otherwise be difficult to diagnose in the sometimes slowly developing initial phases. To support thyroid research in the country. 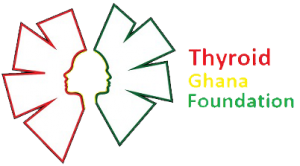 This is necessary to equip healthcare practitioners and policy makers with accurate information in order for them to make the best choices with regards to patient care and thyroid disease management as a national agenda. This can be achieved by soliciting funds and other logistics to support thyroid research projects. Logistics will be made available at various health care centers to collect data on thyroid reported cases for easy access by researchers and policy makers.